While the TLM may start working in the early morning, they make the most progress in between the rush hours where the interruptions are far fewer. 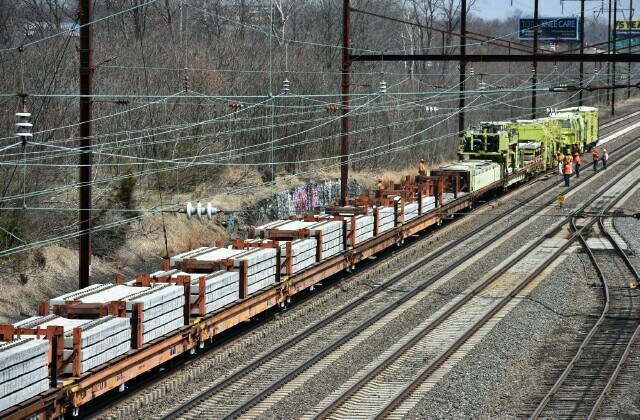 In a four hour span, they have filled 4 flat cars with old ties, which is about 176 ties per hour. 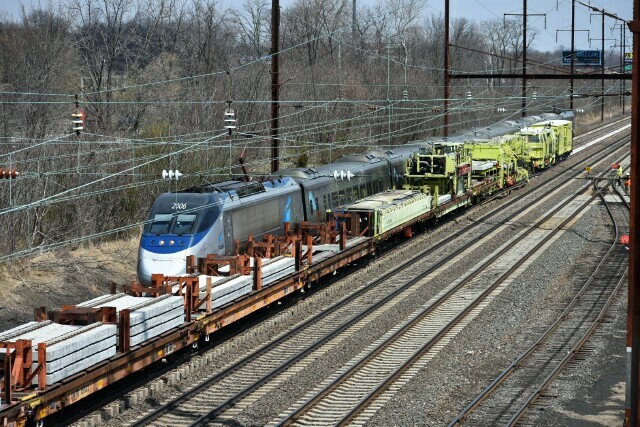 they also have the infrequent visitors like Conrail SAO FJ-10 coming up Track 1 from Holmesburg Junction to service the Eddington Siding. 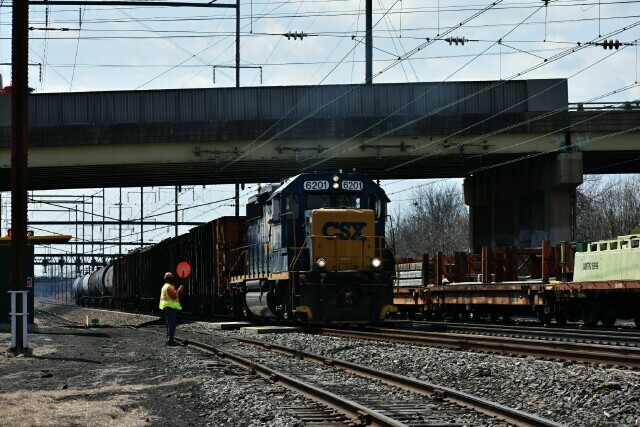 Note the cutout pilot for operation in third rail territory on CSX GP40-2 6201.